Netflix’s first original comedy series Grace And Frankie will now be a partial The Newsroom reunion as well as a partial 9 To 5 reunion. 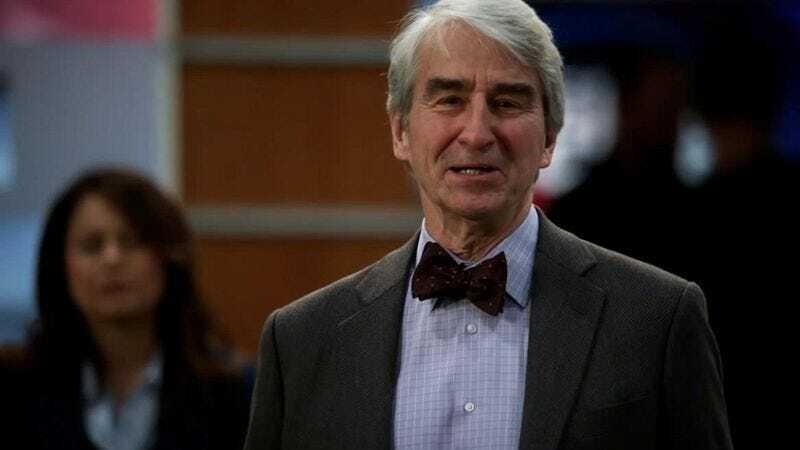 The Hollywood Reporter says that Sam Waterston has joined a cast that already includes Lily Tomlin, Jane Fonda, and Martin Sheen; Tomlin and Fonda star as former enemies who are forced together after their husbands announce they’re in love and want to get married. Waterston will play Tomlin’s ex-husband and Sheen’s law partner-turned-life-partner—a relationship that is totally understandable, considering how good Waterston looks in a bow tie. Waterston and Fonda previously co-starred on The Newsroom, where Fonda has a recurring role as Waterston’s boss.